Last year, we were in Patzcuaro, Mexico, for Dia de los Meurtos, Day of the Dead. 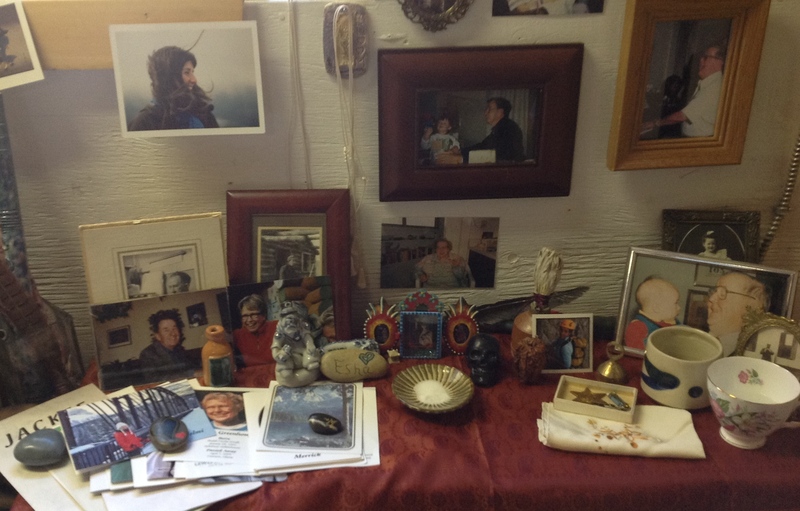 Five friends, traveling together, very spontaneously created an altar in our rented house, and sat around talking about our own dead: mothers, fathers, grandchildren. It was a moving experience. So this year, I felt drawn to making another, at home. And it has been just as moving. All these loved ones who have passed, gathered in memory. Inviting them to visit for the briefest time, feeling the thin veil lift, between where I am and where I’m headed. May you feel surrounded by love today, from all those fully present in your lives. And all those others, fully present.